Dr. Clarissa Johnson, director of the Sickle Cell Program at Cook Childrens, talks about advanced treatments and therapies as well as promising new clinical research on the horizon for sickle cell disease. Her extensive knowledge and passion for treating patients with sickle cell disease is the driving force behind bringing relief to hundreds of patients at Cook Children’s. Click here to listen. Sickle Cell Disease is the abnormal shaping of red blood cells. The red blood cells are shaped like crescents instead of circles. They don’t last long and they can get stuck in the blood vessels, which blocks the blood flow, often resulting in pain and organ damage. Among the many misconceptions of SCD, African Americans are not the only race affected by the disease. While the African American race makes up a reported 60 to 80 percent of Americans diagnosed, people of Indian, Middle Eastern, Hispanic and Mediterranean descent may also be affected. The cure for SCD lies in bone marrow transplants, and while siblings typically are the best matches for this disease, anyone willing to donate can be tested. An estimated 3,000 people die each year in the United States from waiting for a donor for a bone marrow transplant because of the lack of donors on the registry. Donating bone marrow requires less than 5 percent of bone marrow cells and is typically taken from the hip of the donor or through a non-surgical procedure in which it is collected through an IV. The Sickle Cell Program at Cook Children's Sickle Cell Center serves more than 400 children annually across northern Texas and adjoining states. The program offers testing, diagnosis and treatment for the many types of sickle cell disease. Research is also an important part of the program as the team seeks new ways to treat and prevent the many complications that can occur as a result of this disease. Click here to learn more. Cook Children's Hematology and Oncology Center is actively involved in sickle cell disease research, including stem cell transplantation. The recognized team of researchers work with leading organizations across the U.S. and around the globe to find solutions to treating, preventing and curing the disease. As a research facility, Cook Children's also has a number of clinical trials available and we are able to match our patients to trials at other facilities. To learn more about the ongoing research at Cook Children's, click here. The Cook Children's Sickle Cell Center serves more than 400 children annually across northern Texas and adjoining states. If your child has been diagnosed, you probably have lots of questions. We can help. If you would like to speak to one of our staff, please call our offices at 817-547-0936. 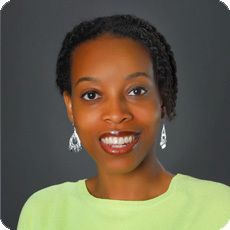 Clarissa Johnson, M.D., is the medical director of the Cook Children's Sickle Cell Center. At the core of Dr. Johnson's passion for m​edicine and pediatrics is her desire to be an advocate for those who don't have a voice for themselves. Her initial intere​​st was to be a research scientist, but her realization that face-to-face interaction with patients and their families might make a more direct difference in people's lives led her to pediatrics, and eventually to pediatric hematology and oncology. Dr. Johnson's personal commitment to have a positive impact is made every day at Cook Children'​s. It has also led to her involvement in medical mission trips to hospitals and clinics in Nigeria, Ethiopia and Eritrea. "I returned from those mission trips with more of an international view of health care. It furthered my advocacy for people who aren't able to speak for themselves," she says. This experience, combined with the fact that her parents instilled in her a multicultural outlook on the world, helps her in her medical practice right here in Ft. Worth, Texas. She recognizes that an indispensable asset in caring for patients and families is compassionate understanding​. When she's not caring for patients, Dr. Johnson enjoys the performing arts including dance, concerts and Broadway theatre. Likewise, she can quickly turn the conversation to football, both professional and college ball, and often surprises her young patients with her passion for LSU footbal​l. 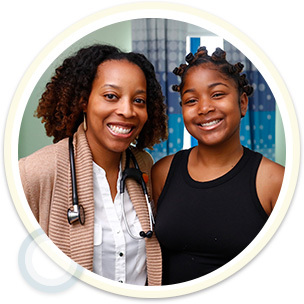 Learn more about the Cook Children's Sickle Cell Center. 1. A child gets sickle cell disease (SCD) when he or she receives two sickle cell genes - one from each parent. A child who inherits only one sickle cell gene has sickle cell trait (SCT). If both parents have either SCD or SCT, it's imoprtant for them to discuss this information with each other and with a doctor when making decisions about family planning. 2. SCD has many faces. The disease affects millions of people worldwide and is especially common among people who come from and whose ancestors come from the following regions highlighted in red. 3. SCD can be cured for certain patients. A bone marrow transplant, which involves collecting healthy cells from a donor's bone marrow transplant may not be the best choice for all paitents because it comes with serious risk. A bone marrow transplant expert can advise patients about whether or not it is a good choice for them. 4. Anemia is a common effect of SCD, but it can be treated. In someone with SCD, red blood cells die early and not enough are left to carry oxygen throughout the body, causing anemia, infection or enlargement of the spleen, an organ that stores red blood cells, may make anemia worse. Blood transfusioins are used to treat severe anemia. Getting regular checkups with their doctor. Following treatments prescribed by their doctor, such as taking medication called hyroxyurea. Preventing infections by taking simple steps including washing their hands. Practicing healthy habits like drinking 8 to 10 glasses of water per day and eating healthy food.